Our monthly e-bulletin is packed with quality job opportunities from organisations who appreciate and value the skills and experience that are gained during a career in the Armed Forces. 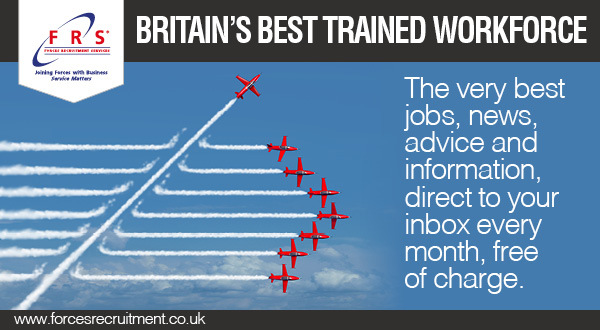 As well as current vacancies, the newsletter features expert career advice and opinion, as well as job market insight and up-to-date news from around the world of work. To get the newsletter sent direct to your inbox, free of charge, each and every month, simply register here - it only takes 60 seconds.